“It’s perfect, just what I wanted!” Have you ever squealed this in delight when receiving a gift? In that moment, it was everything you wanted and needed all rolled into one. You cherish the gift and are so thankful. Maybe you are imagining an expensive object or a special wish list item as the perfect gift. But what if it’s your memory? How often do we get excited over remembering exactly what we want, when we want to? Do we jump for joy when able to vividly recall a treasured person or memory? Probably not. Instead, we take our memory for granted, similar to our health. A healthy memory is often the last thing we think about when counting our blessings. But in reality, a healthy brain and memory are exactly what we all should wish for in order to age well. Be aware of subtle changes in cognitive function and what is needed for your unique memory wellness. If we can’t remember someone’s name, is it because we weren’t paying attention in the first place? Struggling to remember appointments or maintain a normal schedule may be a clue that increased physical or mental exertion is needed. Awareness of your unique memory and cognitive pros and cons will guide any wellness modifications you may need moving forward. Often, we don’t pay attention to something unless it’s causing a problem, either physically or mentally. Don’t let this happen to you! Pay attention to your brain health now. Strive to maintain and enhance your memory wellness through lifestyle modifications. 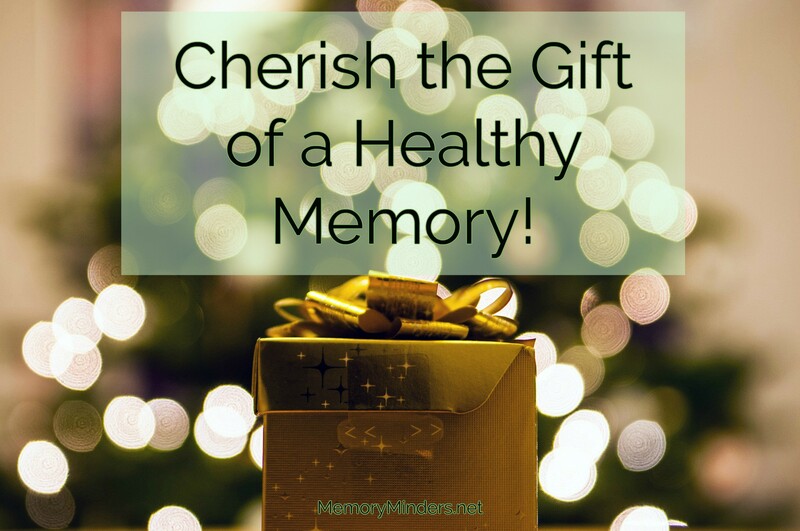 Cherish the gift of a healthy memory and use it to age well!